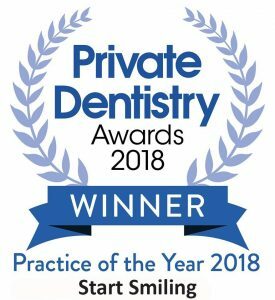 Dental veneers at Start Smiling, Ingatestone, are a popular choice if you are looking for a new smile you can be confident with. A veneer is a thin layer of porcelain bonded to the front surface of your tooth, thus changing its appearance. Veneers are often likened to false fingernails because they are able to offer an immediate transformation to any tooth irregularity. This means that you will not have to undergo months of orthodontic treatment or other similar procedures, but will have a new smile in a short space of time. This is a treatment that can be used in conjunction with other cosmetic procedures, which makes it one of the most advantageous choices for optimum results when having a smile makeover. Veneers are an elegant and versatile way of closing spaces, disguising darkened teeth or strengthening crowded, protruding teeth. They are also used to replace lost enamel and can help strengthen teeth weakened by erosion, over-brushing or simply age. Porcelain is the most favoured material for veneers, because they are durable and offer a natural looking appearance. This case was completed using the most conservative approach as possible. We had spent time over the last year tooth whitening and discussing alternative options such as comprehensive orthodontics and composite bonding, but the patient did not feel she would achieve the smile aesthetics she wanted with these more minimally invasive techniques. When you exhaust all other more minimally-invasive techniques first and the end-result is still not to their expectations, then I feel we can safely and predictably complete a makeover using ceramics as long as we still follow minimally-invasive preparation protocols and are are careful and exact with our planning and execution. At Start-Smiling we usually use veneers alongside crowns, implants or bridges as part of a smile makeover. 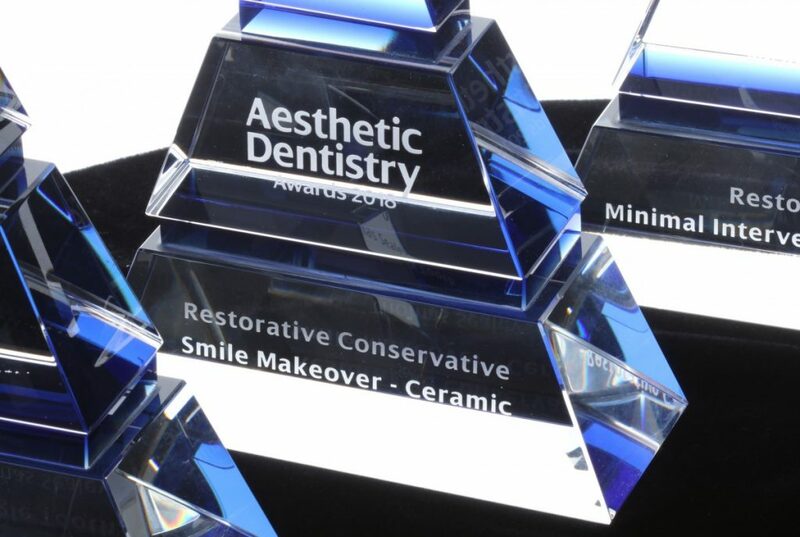 We work in close consultation with our master ceramist to design and fabricate your veneer to match colour if a single unit or create your perfect smile if part of a smile makeover. 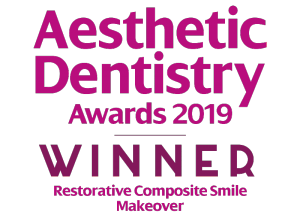 Dr Thomas Sealey was able to restore his patient’s mouth, where they had worn and chipped their teeth, with such minimal techniques and using the most beautiful and delicate ceramic veneers that the result was considered to be the best in the UK at the 2018 Aesthetic Dentistry Awards. What an amazing accomplishment. In addition, Dr Sealey was able to change a dark and discoloured front tooth dental crown and replace it with such a stunning new crown that it was indistinguishable within his patient’s smile. This is the most natural result that all dentists aim to achieve. 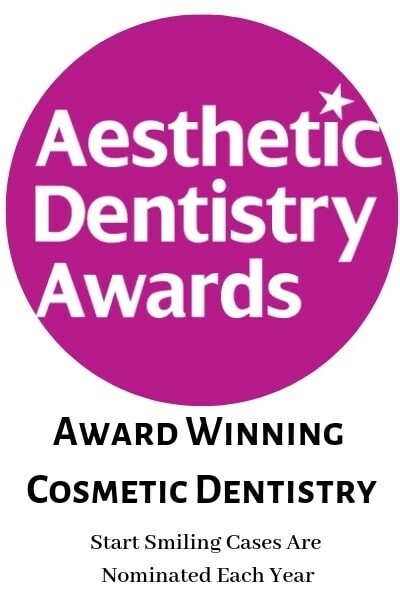 His work was so beautiful that he was awarded the ‘Highly Commended’ award at the 2018 Aesthetic Dentistry Awards as voted by a panel of expert dentists from across the UK. As with any treatment here at Start Smiling the first step is to assess your smile to ensure that veneers are the best treatment for you.